MoU signed between Doordarshan and IGNOU for transmission of Gyan Darshan channels. A Memorandum of Understanding was today signed between Doordarshan & IGNOU regarding the transmission of Four Gyan Darshan Educational channels. The Gyan Darshan Bouquet of Educational TV Channels is an educational media initiative of MHRD in collaboration with the Ministry of Information and Broadcasting (MIB), Prasar Bharati & ISRO with IGNOU as the nodal agency. 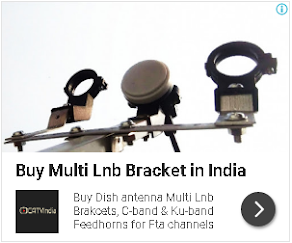 It consists of four TV Channels namely Gyandarshan-1 & Gyandarshan-2 (by IGNOU) Gyandarshan-3 Eklava (by IIT, Delhi) Gyandarshan-4, Vyas Channel (by UGC, CEC). 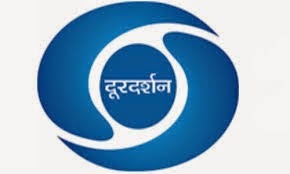 It was initially launched on 26th January, 2000 as a solitary 24x7 hour satellite channel under the banner of Doordarshan which provided a Transponder on INSAT 2B satellite, free of cost. Gyan Darshan ran successfully till 2nd June 2014 as a must carry channel for educational programmes. GD was shut down by ISRO to facilitate its migration from INSAT 3C to GSAT-10. IGNOU now needs to apply for a fresh Licence to start the uplinking of its Channels for GSAT-10 Satellite. Under the Up-linking & Down-linking Guidelines of the Ministry of Information & Broadcasting, IGNOU is not eligible for the grant of a Licence. IGNOU requested Doordarshan to apply for the necessary Licence and permissions for the Gyan Darshan channels. Through this MoU, Doordarshan has acceded to the request of IGNOU and agreed to apply for and obtain the necessary Licence and permissions as are required for the telecast of Gyan Darshan channels from IGNOU Earth Station, Delhi to operate in C-band from GSAT-10. become a reality. Our grateful thanks to Ms. Supriya Sahu, DG, DD for her kind support in reviving Gyandarshan”. Note: This PR tekan from Doordarshan's official site "DD India", Click here to get "Original Press Release".